It gives me great joy knowing that you found my website and can share in my passion. I am Nikki, a wife and mother of 3 amazing kids who have grown up to become beautiful adults. For a long time, I was a military spouse and my husband's career in the United States Air Force meant a lot of traveling. Though I was not pursuing my passion at the time, the traveling was a great benefit since I got to pick up a lot of skills to hone my passion along the way. After his retirement however, I figure that now that we have settled in a beautiful home in Charleston, South Carolina, it is time that I pursued my dream. It is no surprise that my passion is centered around organization. 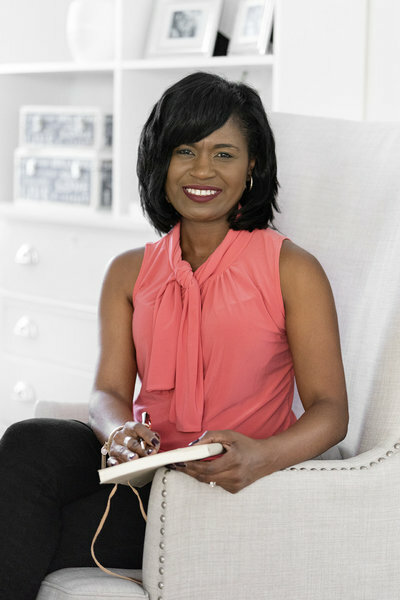 I opened my professional organization firm in Summerville, South Carolina to help individuals create beautifully organized spaces within their home and work environments. It is my belief that a happy home guarantees a successful and fulfilled life. 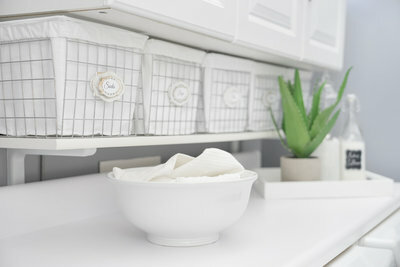 Over the years I have picked up and come up with invaluable tips on how to decorate my home, creative organization tips and even cooking tips for some of the best dishes around. I love helping people transform their space by helping them establish simple and efficient systems which make their home work life function with ease. I believe that the home should be a beautiful haven for the entire family, where they can feel safe, happy and relaxed. I believe that you could and should make your home more beautiful without having to call a professional to do that for you. That is why my tips can be easily followed to help you Do-It-Yourself. Of course, at the end of the day, you have to have a certain amount of passion for this, otherwise it will just seem like a chore. Whether you are cooking for the family or creatively decorating your home, you need to have fun while doing it and you cannot very well do that if you view it as a duty. 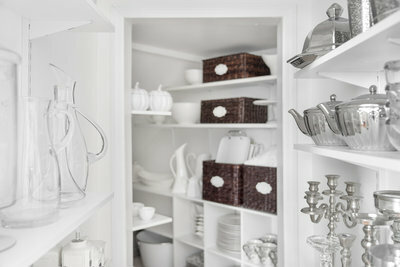 You will notice that most of my home décor, organization and cooking tips have plenty of creative twists in them. Each home needs to have a certain amount of mystery and you can add that to your home by being creative in your décor, organization and cooking. While my tips could truly give a blend of beauty and mystery to your home, I would encourage that you keep an open mind. You should always add a touch of your own creativity into the mix for a better look. At the end of the day, all we strive to gain is a happy home. 01. BEFORE BECOMING A STAY-AT-HOME WIFE, WHAT WAS YOUR CAREER? Being a military spouse I have moved around a lot which led to my having a very colorful work history. My jobs have ranged from working in the Social Services field as a Case Manager, a Team Manager for a advocacy company, Human Resources for the U.S. Government, Job Coach for a state agency, School Registrar and I have even worked as an Art Framer. 02. WHAT IS ONE THING THAT WE DO NOT KNOW ABOUT YOU? One thing that everyone finds shocking is the fact that I have never tasted rice. Even as a baby my mother could not get it in my mouth. I can’t tell you why I don’t like it, or why I won’t eat it. I just don’t. Growing up my mom cooked it all the time and although I do cook it occasionally for my husband, I will not touch it. 03. WHAT CAMERA DO YOU USE TO CREATE YOUR VIDEOS? My current camera is a Canon T3i. I am happy with it but looking to upgrade in the near future. I have put some miles on my current camera. 04. WHAT PROGRAM DO YOU USE TO EDIT YOUR PHOTOS AND VIDEOS? I use iMovie11 to edit my movies. It is a very basic editing program that I used from day one. I know it is time to advance but I have such a comfort level with imovie. 05. DO YOU HAVE CHILDREN? Yes. Our children are adults and have flew the nest :). I have a son who is twenty-six years old and two step-children (step-son who is twenty-six and a step-daughter who is twenty-two years old). 06. WERE YOU ALWAYS ORGANIZED? Absolutely not! I was that kid who cleaned my room by stuffing everything under the bed and in the closet. It was not until I became an adult and left my parents home that I gained a love for being organized. As a child, I did always love home entertaining and would invite my parents to my room for countless dinner parties as a child. As far as home decor I am inspired by the designer Candice Olson. I love everything about her style and personality. Oprah is also a huge inspiration for me. I admire how she has remained so relatable after all of her success.